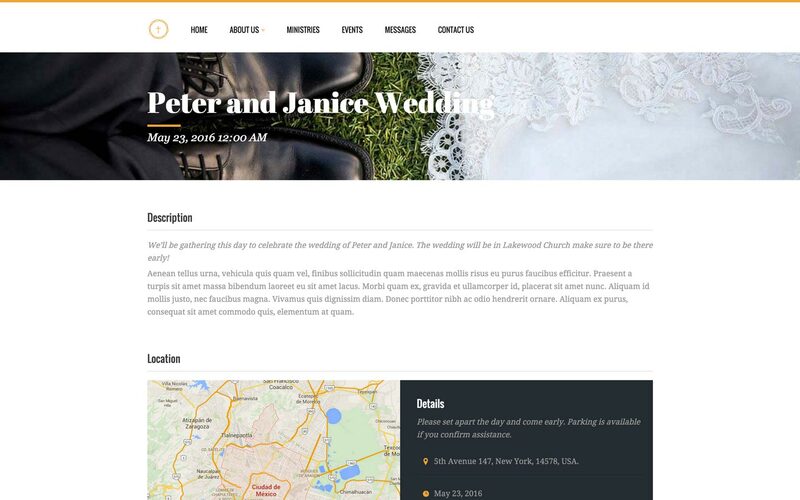 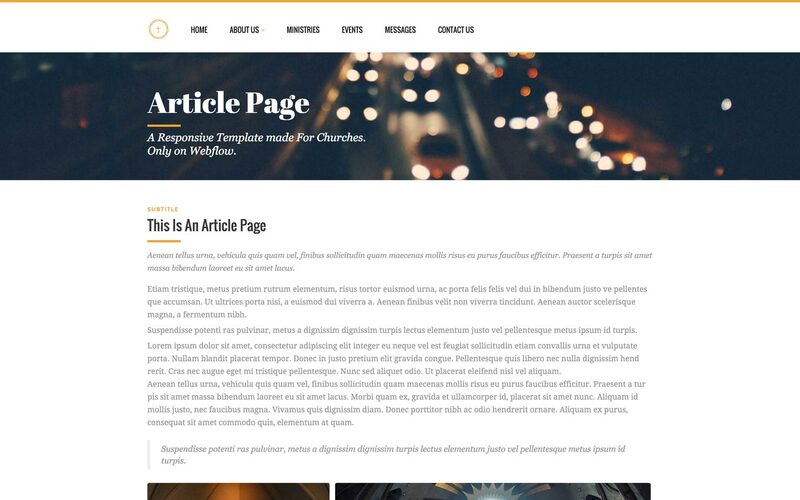 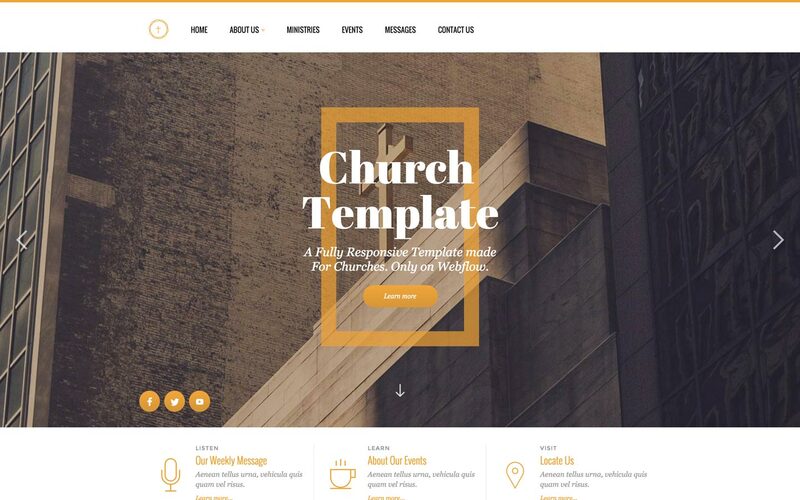 Church is modern and clean Webflow responsive CMS template. 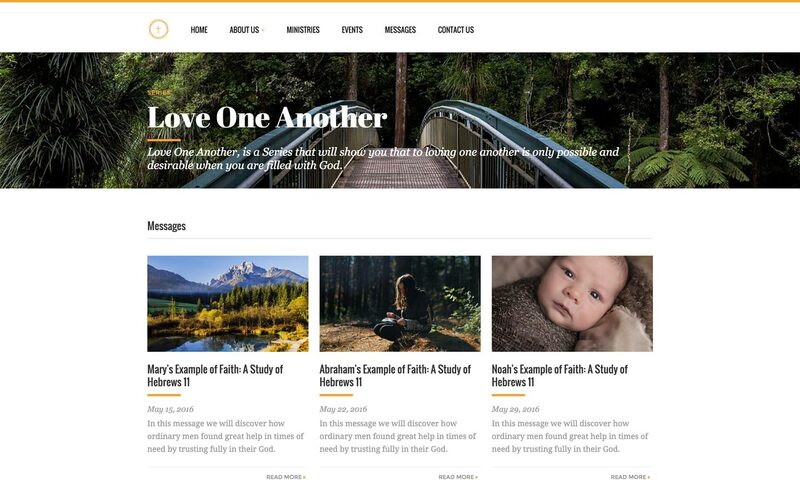 Includes collections Ministries, Events, Messages, and Staff members. 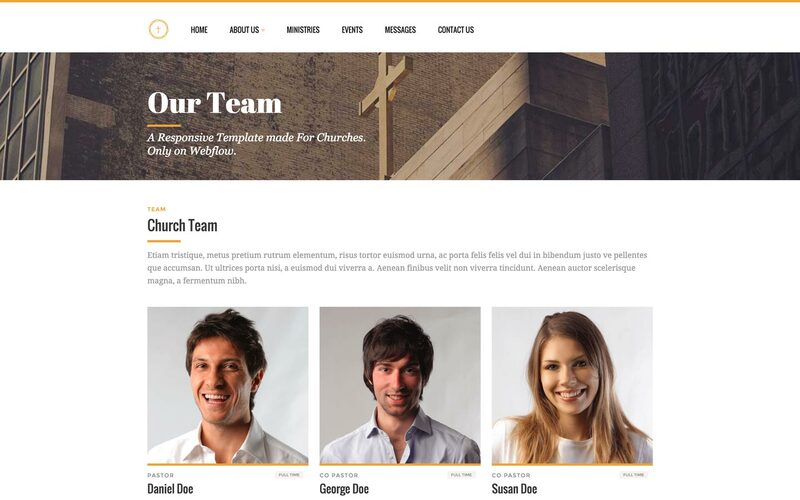 Pages include Contact Form, Team Page and more that you can easily edit or change.